Land of Black Gold (Original: Tintin Au Pays de l'Or Noir) is the fifteenth comic of the Adventure of Tintin series. The comic published weekly at Le Petit Vingtième from September 1939 until the German invasion of Belgium in May 1940. 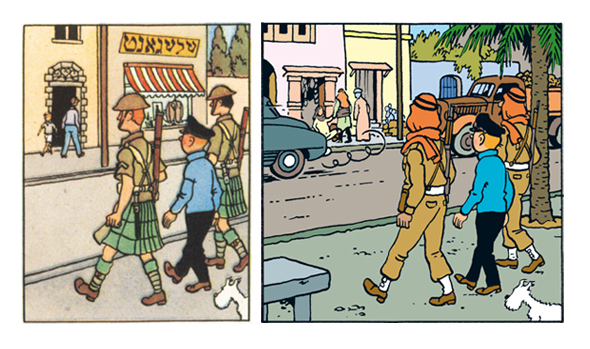 Hergé rewrite to Land of Black Gold, completing its serialization in Belgium's Tintin magazine from September 1948 to February 1950. In 1971 version there are numbers of alternation, transferring the setting from the British Mandate for Palestine to the fictional state of Khemed. You will get 1971 version here.